MINI of Annapolis is proud to be a premier dealership for drivers near Annapolis, Highland Beach, and Hillsmere Shores. 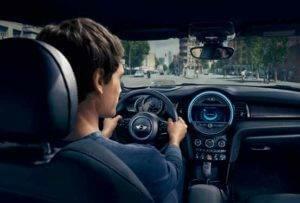 And part of what makes us a leading MINI dealer is our commitment to helping each customer find their perfect vehicle. This dedication to you can been seen in the extensive library of tools provided on this page. Each MINI Cooper review offered here presents details on the advanced amenities within every vehicle supplied at our dealership. Not only are these articles informative, but they’re a quick and easy way to gather information on several automobiles without setting foot inside a showroom. That way, you don’t have to take time out of your day to shop for your new, used, or certified pre-owned MINI. While reading through these MINI Cooper reviews, you’ll notice that each one provides specifications on the distinct details within the model of your choice. So, whether you’re looking for additional information on the entertainment systems or cargo space within each MINI, you’ll find everything you need in these articles. If a powerful engine is what you’ve been searching for, each MINI review contains specifics about our motors and fuel economy numbers. That way, you can choose a ride that’s both dynamic and environmentally friendly. Safety along the road is of the utmost importance. So, to help you locate an automobile with advanced safety and driver-assistance features, these vehicle reviews offer details on how each gadget works. How Can Our MINI Cooper Reviews Help You? Searching for a new vehicle can be overwhelming. But when you take the opportunity to do some simple research, such as accessing a MINI Cooper review, you can save yourself a bunch of time in the showroom. By doing some investigating, you can learn more about the models in our inventory and also narrow down your options. Plus, you won’t have to spend hours, or even days, test driving a dozen different vehicles. You’ll walk into our dealership with a few choices that you really love, which will save you the hassle of taking time out of your day to shop for a vehicle. Have you been looking for the latest and greatest infotainment system? Well, the reviews on this page can help you find a car that contains all the tools you’ve been dreaming of. On top of that, you can also keep a few automobiles in mind that’ll be ideal for you after you start a family. That way, you’ll already have an idea of a car with enough space for backpacks and soccer gear. Start your own journey now by reading a few of the MINI vehicle reviews on this page and then browsing through our MINI Cooper inventory. 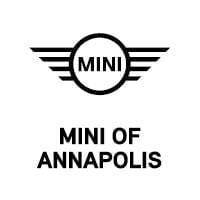 And if you ever have any questions, MINI of Annapolis is happy to assist drivers near Annapolis, Highland Beach, and Hillsmere Shores. Contact us today!